As a first time traveller to Cyprus, India Outbound was part of a delegation of travel professionals to understand and analyse the options that this offbeat Mediterranean island has to offer, especially in the MICE (Meetings Incentives Conventions & Events) segment. The cheerful Cypriot takes his guitar and starts playing and singing and all the Indians on board this two-hour cruise on the Mediterranean sea from Pafos in Cyprus, immediately gather around him. The singer, Dino, is the owner of the yacht. We are his guests, he says and we should just enjoy the moment. ‘‘This is exactly the type of activity that Indians are looking for when they travel,’’ says Sunnil Upparie, director of the travel agency, Luxury Life Holidays based in Mumbai. ‘‘The sun is here, the boat is great and luxurious, the landscapes are incredible and the food and hospitality on board make the experience memorable,’’ he adds while dancing and singing with Dino. Strategically located at the confluence of Middle East, Africa and Europe, Cyprus is home to a rich history. Many Indians believe Cyprus to be a Greek island or are unable to locate it on the map. Cyprus is indeed a country on its own, divided in two. While the northern part, which has mainly a Muslim Turkish population, has been under Turkey’s military control for over four decades, the southern part is inhabited by the Greek Cypriots who are mainly Greek Orthodox. The entire island is part of the European Union and the currency used is Euro. For the last couple of years, the destination has been actively targeting the Indian market in order to attract “quality tourism”. ‘‘ We want to work on focus areas in segments such as MICE, sports tourism and of course Bollywood,’’ explains Demetrios A. Theophylactou, High Commissioner of Cyprus to India. When it comes to promote an offbeat destination from a MICE perspective in the Indian market, there are a couple of elements the event planners will look at. Here is a report of some of the key topics discussed during a recent FAM trip that gathered a good mix of tour operators, event managers including wedding planners and marketing & communication professionals as well as media. The familiarisation trip was organised by the Cyprus Convention Bureau in collaboration with Inspiration Unlimited, led by John Abraham, an experienced tourism professional and advisor based in Mumbai and who has been actively engaging offbeat destinations into the Indian market. There are a couple of things that make Cyprus unique and competitive. Indeed, as professionals, the first question we asked ourselves is what makes Cyprus different from neighbouring Turkey and Greece for example? First of all it’s safe and not crowded. ‘‘You can walk anywhere here without an issue. After the partition everyone has been living peacefully, it is also not a problem to cross from one part to the other. We rarely have any kind of protests in the island,’’ says Rudolph Crasto, director of Sea-Hat Travel and Tours – an Indian origin entrepreneur who has been living in Cyprus for 35 years. The second good thing about Cyprus is the infrastructure. The roads here are good, it’s easy to drive everywhere and also on your own (by renting a car). ‘‘You don’t have to drive for miles, take domestic flights, like in Turkey or Greece to see different landscapes or sites. Here the main cities are just one to two hours away from each other,’’ says Crasto. The regional connectivity is also a plus as the island is strategically placed on the world map and also because there are no direct flights from India to Cyprus. ‘‘We are trying to develop direct flights between Cyprus and India, it is difficult but not impossible. Once we trigger the interest and gradually increase the tourist flow, we can convince airlines. But in terms of regional connectivity, Cyprus is well placed in the region. From here, you can go to London (in four hours), to Greece (one hour) and other parts of Europe very easily, Egypt is also just 50 minutes and Israel less than half an hour,’’ says Theophylactou. With Air India now flying direct between New Delhi and Tel Aviv, getting to Cyprus has become much easier and faster. Besides that, the connectivity with Middle Eastern carriers to Cyprus is also a good option for Indians going from Delhi, Mumbai or any other main city in India. 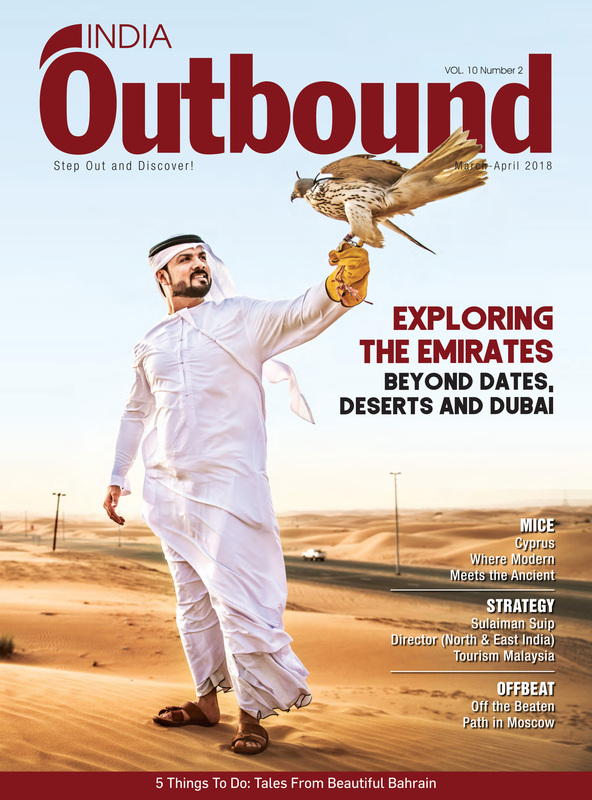 ‘‘We have taken Gulf Air to travel to Cyprus and the timings, as well as the waiting time, was not much, it did not seem like a long and tedious journey as we reached early afternoon in Cyprus and had time to relax for the rest of the day,’’ John Abraham, Executive Chairman of Inspiration Unlimited. ‘‘Cyprus can also be integrated into a circuit in the region thanks to its easy connectivity with the countries around. The winter season, from November to April, that is also the ‘off season’ in Cyprus can also be considered as the prices would be very competitive and Indians always look for the best bargain,’’ added Mahesh Thapa, Manager FIT Operations at SOTC. Finally the variety of the landscapes in such a small land is to take into consideration. ‘‘The weather is pleasant all year long! It’s never too hot, never too cold,’’ informs Crasto. You’ll find everything, from entertainment in Pafos, Nicosia or Aiya Napa to quiet retreats in the rural area and even some of the coastal towns. As we drove through the villages, we had to agree that there is a romantic aspect of Cyprus that makes it ideal for honeymooners too. After all this is where Aphrodite, the Goddess of love was born. You can visit her birthplace at Petra tou Romiou and also include many other historical sites visit without losing much time in your itinerary. ‘‘In a day for example, starting from 10:00am, we could easily manage two or three archeological sites, enjoy a nice local meal and go back to the hotel by around 5:00pm to rest and eventually go back for an entertaining night on the marina or the city center,’’ says Mridula Dwivedi, a travel blogger based in New Delhi. For some event planners, the absence of a direct flight from India was something of a hurdle. ‘‘It’s especially true for destination weddings, where as many as 500 to 2,000 people travel and we look at the most convenient transportation for all age groups and that without extra troubles,’’ says Rohit Jadhav, head of Client Servicing at Milestones To Memories, a company specialised in organising luxury Indian weddings. Weddings also need availability of large hotels. ‘‘I think Cyprus has the capacity for MICE, we have hotels with 490 rooms. Also in Pafos, there are many hotels close to each other where a large group can be accommodated, but it’s true that we would need some more time for Cyprus to adapt its offers to welcome large scale destination weddings,’’ says Crasto. As far as food is concerned, some elements are already in place as the Cypriot cuisine has some good vegetarian options. ‘‘There are also Indian restaurants and Indian chefs in Cyprus. We had this amazing feast at the Montparnasse restaurant in Nicosia offering some fusion Asian cuisine and adapts to its customers or group as well. I found the cuisine to be very much like in India, the chef was indeed an Indian himself!’’ says Mamta Shah, director of Sanskruti Vacations, a travel company based in Mumbai. Another element pointed by Kritika Kunden, in charge of MICE at Cox & Kings in Mumbai, is the need for more international hotel chains. ‘‘It’s easier to negotiate with them for personalised or special requests and you have a quality standard that you know is going to be the same,’’ she says. According to Crasto, this is yet to come to Cyprus. ‘‘We should be able to cater to the demand regarding larger international chains of hotels after a year.’’ Indeed, everywhere we have been, we have noticed a lot of sites under construction including the development of many hotels along the coast especially. “There has been a construction boom involving both the construction of new hotels and the renovation of existing ones. Significant investment is also undertaken in other ancillary tourist projects, such as an impressive casino in Lemesos, which is expected to come into operation in 2021, and of marinas in Agia Napa, Paralimni and Pafos, which however will not be completed in 2018,” shared Michalis Metaxas, director Tourism of Cyprus Convention Bureau and Cyprus Tourism Organisation. During a B2B evening organised at Limassol Marina with local Destination Management Companies, many shared that entry into the EU has also kind of impacted tourism business, notably as far as visa requirement is concerned. ‘‘Getting Indians to Cyprus before it entered the EU was easier. There are some discussions going on in order to ease it and the government should come up with a solution soon,’’ says Crasto. Surprisingly, many Indian prestigious events have already taken place in Cyprus. ‘‘I have organised high level and top luxury events for ZEE TV over seven days including 4 days of conference. I also did one for UB Group with 750 people, Times of India, as well as in the medical sector with about hundred doctors form India,’’ says Crasto. ‘‘Indians are constantly looking for something new, especially in the MICE segment. 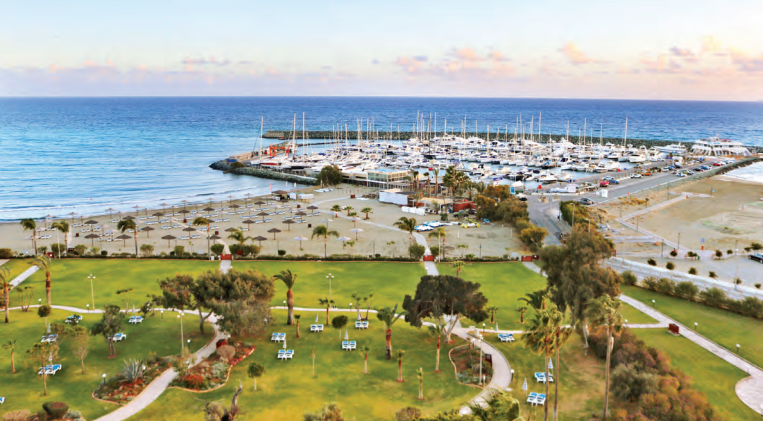 Cyprus is an unexplored country that can be a hub for focused, exclusive top luxury events. And the peace that VIPs can get here is quite unique. No one will come to bother you, whether you are a simple tourist or a big star,’’ says Abraham. Another big development is shooting of Bollywood movies in Cyprus. ‘‘I was in Mumbai recently and had meetings with four producers. Once we have one or two productions, I am sure that others will follow,’’ says Ambassador Theophylactou. Sandeep Marwah, the president of the International Chamber of Media & Entertainment Industry and the Indo Cyprus Film and Cultural Forum was also part of the delegation. ‘‘The Forum was launched two years ago and aims at developing Cyprus as a shooting destination but also develop and promote the relation between the two countries through art & culture. Our Forum has been invited to participate in a conclave for ‘cinema in Cyprus’ to take the discussions to the next level in terms of the facilities available for the Indian film industry,’’ Marwah shared. ‘‘We are working on subsidies for the filmmakers and it should be available to them as soon as possible,’’ adds Theophylactou. The fruitful trip triggered the interest of most tourism professionals who were part of the delegation. At the end of the trip, when we asked the Indian professionals, where they felt the most comfortable from a cultural point of view, most of them answered that the family-oriented approach in Cyprus, made them feel like home. On the last night, the entire delegation went to the Mezostrati Tavern, a traditional restaurant with live music in the capital Nicosia. As the music started, Cypriots and Indians started enjoying the vibes. Indians tried to shake a leg in the local folk dance, Cypriots too tried some Indian moves. Even if MICE tourism from India to Cyprus is yet to take the next step to grow further, one thing we can testify for sure, Cypriots and Indians enjoy partying together!